Switzerland - Schwezerische Eidgenossenschaft (Confoederatio Helvetica) is a federal republic located in the heart of Western Europe, famous for chocolate, bank, precision watches and quality Emmental cheese. Switzerland covers an area of 41,285 km2 with approximately 7.7 million inhabitants, speaking four official languages: German, French, Italian and Romansh. The country is member of EFTA (European Free Trade Association) and is consisting of 26 cantons, with Bern as the seat of the federal authorities. Switzerland is the highest European countries (average altitude 1300 m), up to 60% of the land is occupied by the high peaks of the Western Alps, deep glacial valleys, pastures and dense forests. The highest point is Dufourspitze (4 634 m), located in Monte Rosa group. The well-known Matterhorn mountain is an iconic emblem of the Swiss Alps and the Alps in general and in the Bernese Alps is located the longest glacier in Europe: Aletsch glacier (27 km). Switzerland has a temperate climate but varies with altitude. In the plain, temperatures can rise to 30ºC in the summer, and even in the mountains the sun is hot. In the winter, temperatures rarely drop below minus 5ºC in the entire country, save the mountain tops. 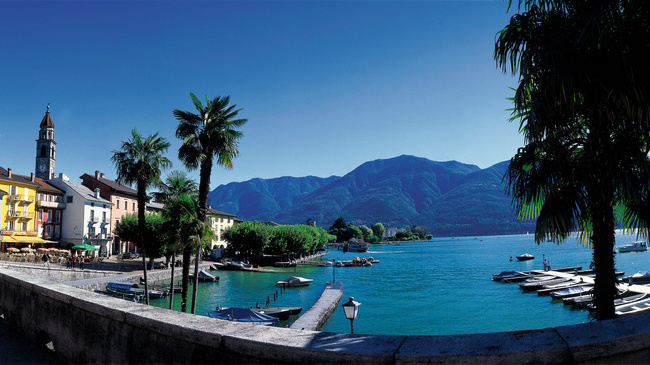 The warmest parts of the country are Montreux (where palm trees line the lake-side), Ticino and Valais. In Ticino, the Italian-speaking canton South of the Alps, there are over 298 sunny days a year and daily mean temperature in July are over 26ºC.In Valais, kiwis, peaches, figs and tomatoes are grown in orchards and tiny scorpions can be found. Switzerland is a peaceful, prosperous and modern market economy with low unemployment ( 4,5 % unemployment). Switzerland´s economy is based highly on a qualified labor force performing a highly skilled work (watches manufacturing, pharmaceuticals, heavy engineering, electrical machinery). The economy is highly specialized and dependent on international trade ( 40% of the gross domestic product [GDP]).The per capita gross domestic product is the second highest among the Organization for Economic Cooperation and Development countries ($ 81161 in 2011 according to the IMF). The most important source of electricity is hydropower. Up to 60% of produced electricity comes from hydropower and 40% from nuclear power. Part of the industrial output is produced in small businesses, but to participate in industrial production and large corporations (Nestle, Sandoz). In 2011 15 Swiss countries are included on Fortune's "Global 500" list.The 20 largest companies are : Glencore International AG, Credit Suisse, Nestlé SA, UBS (Union de Banques Suisses), Zurich Financial Services,Novartis AG, Roche Holding, ABB Asea Brown Boveri Ltd, Winterthur, Adecco SA, Kuhne & Nagel International, Migros, Swiss Life, Swiss Reinsurance Group, Holcim, Swisscom AG, Tetra Laval SA, Coop, STMicroelectronics NV, those are just a few of companies headquartered in Switzerland. The standard of healthcare in Switzerland is excellent, and most locals and foreigners are satisfied with the level of treatment. Similar to most European nations, the Swiss system is a universal one, though it affords its population healthcare in a manner that even those opposed to socialist safety nets can supports. The current Swiss healthcare system came into effect in 1996 under the Health Insurance Law (LAMal) of 18 March 1994. 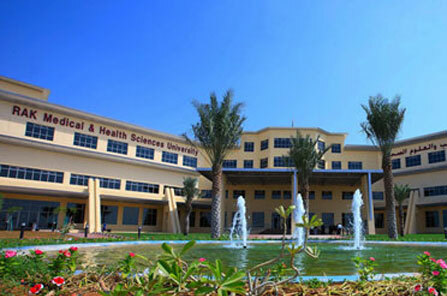 Each year the government establishes which treatments are covered under a basic health insurance package. The average annual health insurance cost for an individual in Switzerland was just over 4200 CHF(3000 Euro) in 2010. Despite the fact that Switzerland is a small country is a land with great diversity. Switzerland's tourist attractions are as diverse as its cultural identity. It hosts cosmopolitan cities like Geneva, Zurich, Basel, as well as several enchanting towns (Lucerne, Neuchâtel, Lugano, etc. 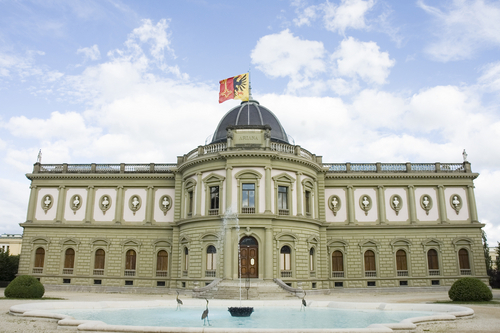 )There are more than 900 museums, 334 cinemas, hundreds of symphonic orchestras and libraries in Switzerland. The number of museums has tripled after World War II. Many of these are small museums dedicated to the local history of villages. The well-known painters and sculptors of the 19th and the 20th centuries were Swiss or Swiss born : Albert Anker, Ferdinand Hodler, Alberto Giacometti and others or Swiss-born. Jean Tinguely and his creative crazy machines also hail from Switzerland. Switzerland boasts a long tradition of architecture. The visitors will enjoy opulent Romanesque cathedrals such as those in Geneva or Basel, as well as Gothic churches in Zurich and Lausanne or the Jesuit Church in Lucerne, which, dating from 1666 ( the first example of the Baroque style in Switzerland). Switzerland is also famous for its music festivals, ranging from classical to rock. 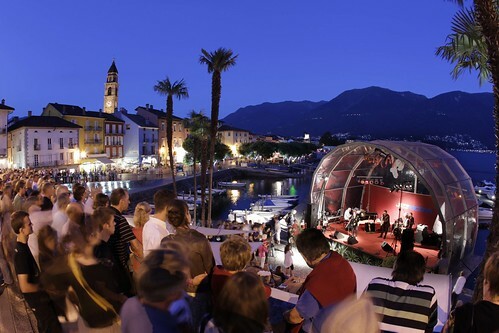 Classical music festival include the Lucerne festivals in Easter and summer, the Ascona Music Festival in summer, the Menuhin Festival in Gstaad ( one of the most important classical music events in Switzerland,) and Snow and Symphony in the resort of St. Moritz. Yodeling is stereotypical for Switzerland, is not widespread and is limited to some mountain areas. The same is true for the accordion, which is sometimes called by the name Schwiizerörgeli, implying that it was a Swiss musical instrument, rather than the German Handorgel. The summer sees a series open-air rock and pop festivals. 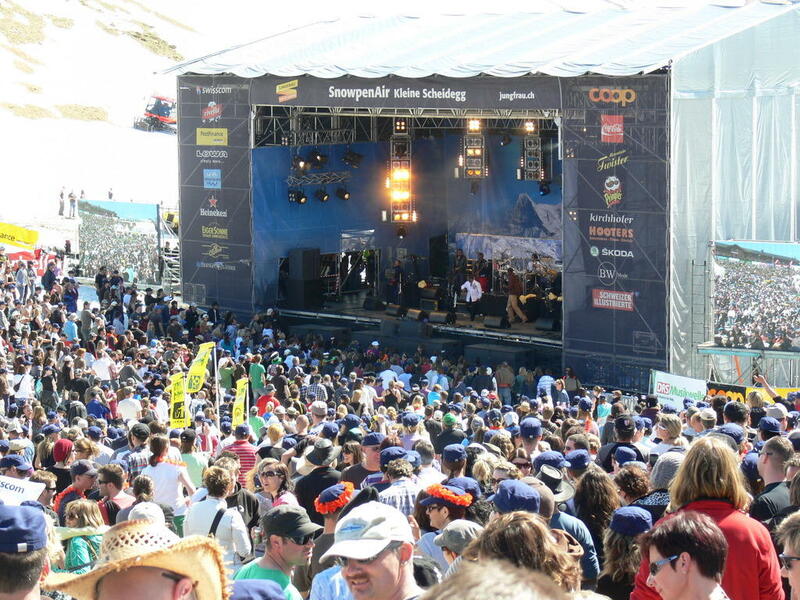 Even the winter has an open-air rock concert, the SnowpenAir on the Kleine Scheidegg in the Bernese Oberland. 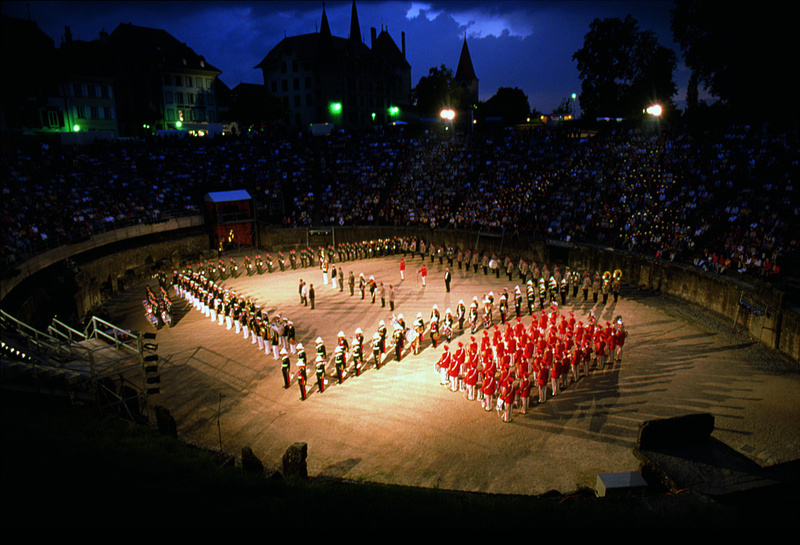 Also one of the famous festival in Switzerland is the Aventicum Musical Parade, an international festival of music, song and dance that brings together close to 500 musicians, both military and civilian, from all over Europe.This event take place in the unique setting of Avenches´ s Roman Arena. 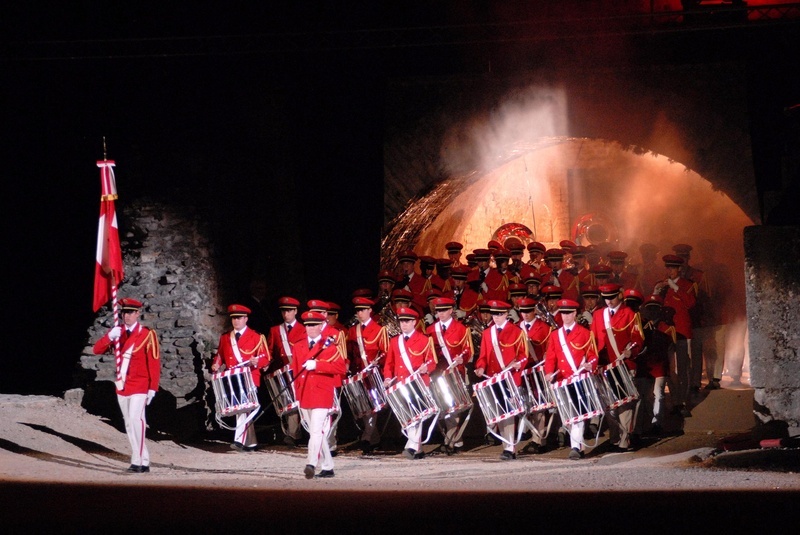 the musical parade attracts first rate marching bands and orchestras. In Switzerland the menus vary from canton to canton. Switzerland farming country in which the most popular foods are cheeses (Swiss farmers have always been specializing in milk and dairy products, especially cheese), potatoes and chocolate. The chocolate, one of the main characteristics of the Swiss cuisine, has been known to this region for centuries. Lindt, Nestle, and Kraft are just some of the main chocolate factories in Switzerland, and the most refined chocolates and its derivates in the world. Some of the Specialities of Switzerland's Cuisine are: famous national dish Rösti (grated potato fried in a pancake), Älplermagronen, Fondue and Raclette. Switzerland is also known as a summer and winter sports paradise (Zermatt, St Moritz, Interlaken, Gstaad, the Jungfrau, Verbier are just a few of the many suggestive names). Winter sports are very popular in this mountainous country. Apart from skiing and mountaineering, Swiss-style wrestling (Schwingen) is also popular in rural areas. Sunday-morning shooting sessions and Hornussen (a kind of Alpine baseball) are other traditional Swiss sports. Sports are developed and you can take your pick from tennis, golf, ice hockey, football (soccer), basketball, handball, gliding, paragliding, sailing, swimming, volleyball, floorball, mountain biking and hiking.